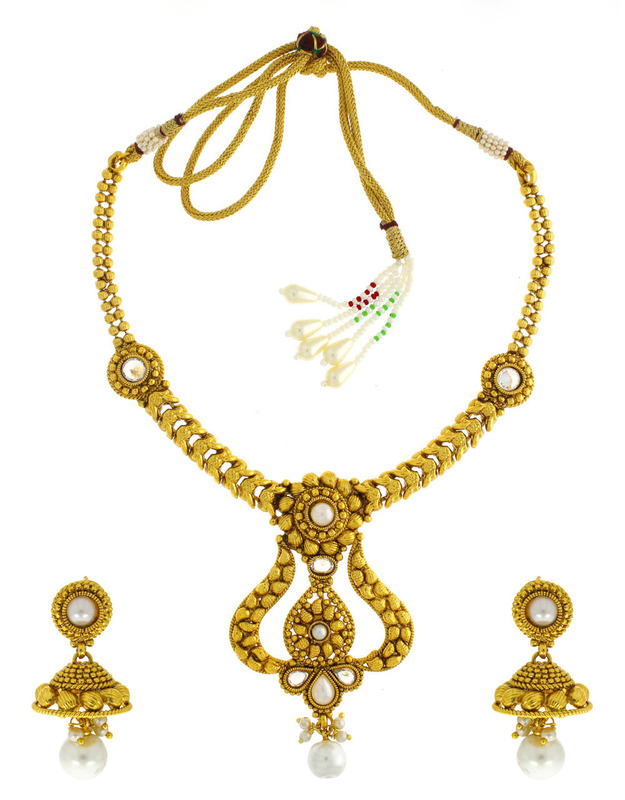 Complete your traditional look by adorning this golden finish appealing necklace set with your favorite attires. 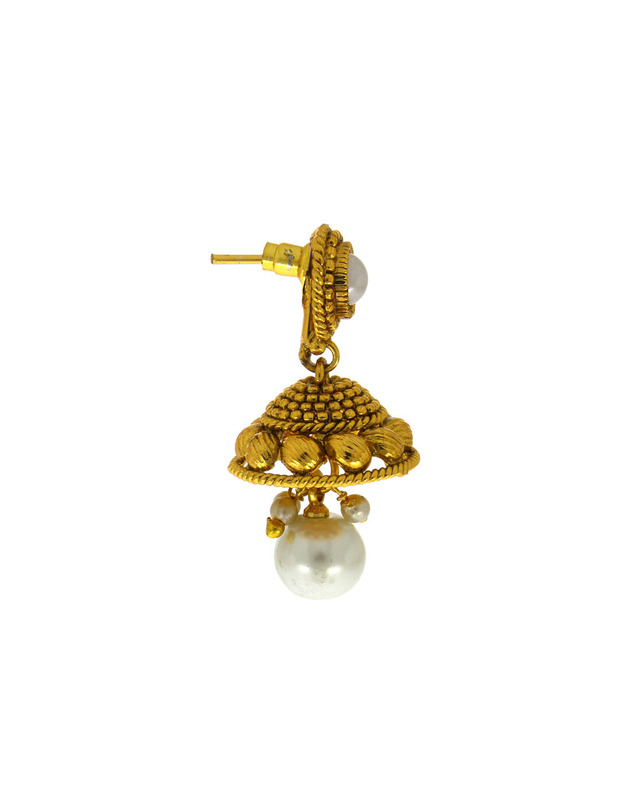 It is encrusted with sparkling stones along with pearl bead and feature intricate carving design on metal surface. 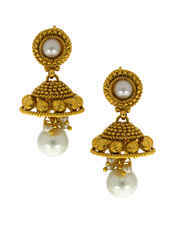 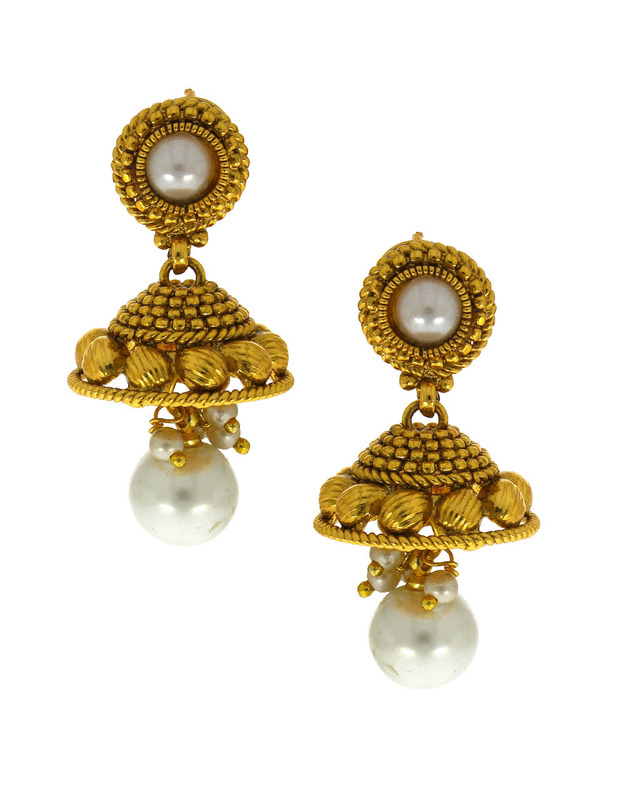 In addition it has pearl bead droplet for added attraction. 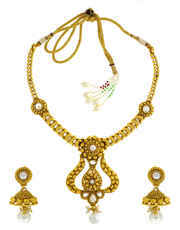 The neckpiece comes with adjustable dori, so that you can fit it properly according to your neck. 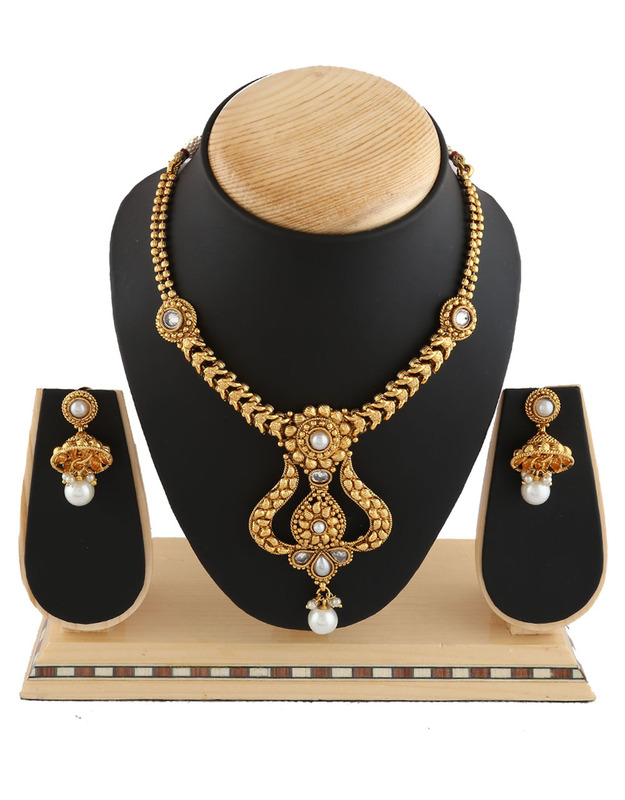 So order now!